Posted January 20, 2011 by grohling & filed under Events. Cryptography and Encryption, or the process of hiding secrets as unintelligible codes, has been around for thousands of years. In modern times it has become increasingly familiar, possibly due to the Enigma machine and other coding devices used in the World Wars. Cryptography and the technology behind it are now a fundamental part of the infrastructure of our modern daily lives. Credit cards, mobile phones and even the keys to our cars now use the most sophisticated cryptography to secure their use. Prof. Piper gave our Christmas lecture in 2009 and it was so well received that we invited him back for more of the story. 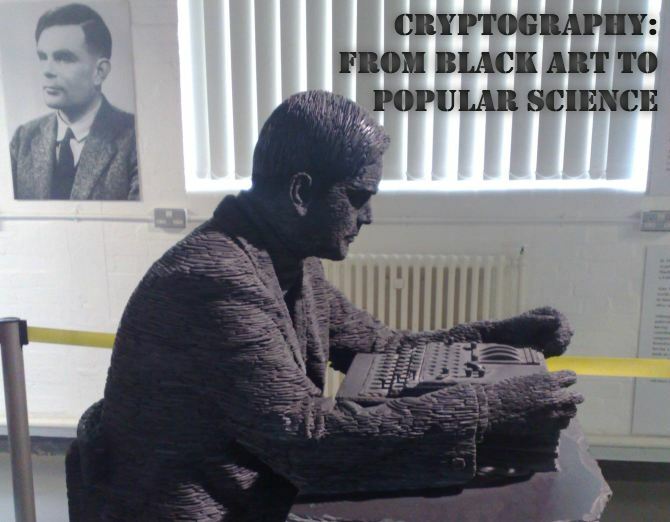 In the first lecture he covered a brief history of Cryptography from the Enigma machine to its modern day ubiquitous use to secure electronic transactions. He gave us an outline on how secure is secure, its overheads, how it works and a peep into the future. Part 2 takes the story further and deeper. Professor Fred Piper worked for many years as head of the MSc Information Security group at Royal Holloway, University of London. Fred gave the BCS Turing lecture in 2004 and is recognised worldwide as an authority on the subject of Cryptography and IT Security. He is a popular author on the subject and his most recent book, joint authored with Sean Murphy, entitled Cryptographjy – A Very Short Introduction, is a popular seller on Amazon. In 2008 he was voted into the InfoSecurity ‘Hall of Fame’ joining such widely published industry notable characters as Bruce Scheiner. Sandwiches and light refreshments will be served from 7:00pm. The lecture starts at 7:30pm.